Understand all the features that the new crop of doorbell cameras may offer so you can pick the best device for your home. So, what exactly sets apart the most reliable of doorbell cameras? Below, we’ve outlined several of the features you’ll want in this home security gadget, from the ideal viewability to video quality. In order to sync the doorbell to your smartphone, you’ll need to download a mobile app. Through the app, you’ll configure all the doorbell’s features, such as real-time monitoring, taking a still photo, and remotely starting video recording. Thirty years ago, virtually all doorbells were hard-wired into a home’s electrical system, but in the past two decades, manufacturers have been offering battery-powered models that don’t require wiring. If your home already has a wired doorbell, you can replace it with a wired doorbell camera, and you’ll never have to worry about replacing batteries. If you don’t have a wired doorbell, go with a battery-operated model. In most cases, you’ll want a doorbell camera with a wide range of view so you can see not only what’s directly in front of the door but also to both sides. Some doorbell cameras offer a full 180-degree range of view, allowing a full half-circle in front of the doorbell. Others offer a reduced range of view, some as narrow as 90 degrees. A range of view of at least 160 degrees should provide an adequate viewing area. Most doorbell cameras offer some type of video recording—either continuous video recording (CVR) or motion-activated recording—which can be played back later. Playback is important should you need to review a portion of the video; for example, if you can’t find a package, you can go back and see where the delivery driver put it. Motion-activated recording stops when no more motion is detected, so you don’t have to sift through hours of recorded video to find a single event. Both CVR and motion-activated recording can be stored in the following three ways. To a local wired digital video recorder (DVR). To a removable micro-SD disk, inserted in the doorbell. To the cloud, which usually requires purchasing a subscription from the manufacturer. The higher the video camera resolution, the clearer the video playback will be. Some of the cheapest models offer modest resolutions, as low as 480p (pixels), which can result in a grainy picture. Many top-of-the-line doorbell cameras are now beginning to offer resolutions up to 1080p, similar in picture quality to a newer television. The most popular feature on doorbell cameras is a motion detection that can be configured to send an alert to your cell phone the instant someone approaches the door. If you live on a busy street full of pedestrian traffic and bicycles, however, you might not want frequent alerts every time someone passes by. Motion detection on some doorbell cameras can be configured to start recording video rather than sending an alert if you get too many “false” alerts. be when night vision is activated. 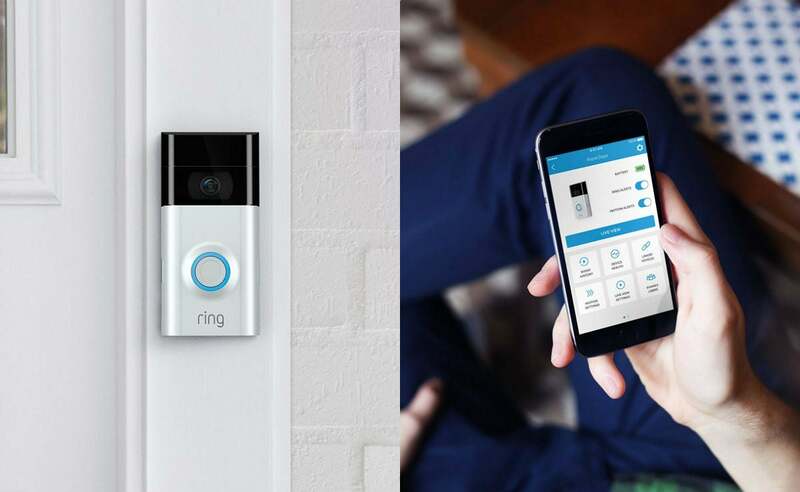 The newest feature in doorbell cameras is the ability to communicate verbally with the person at your door, via a smartphone or a smart home device. 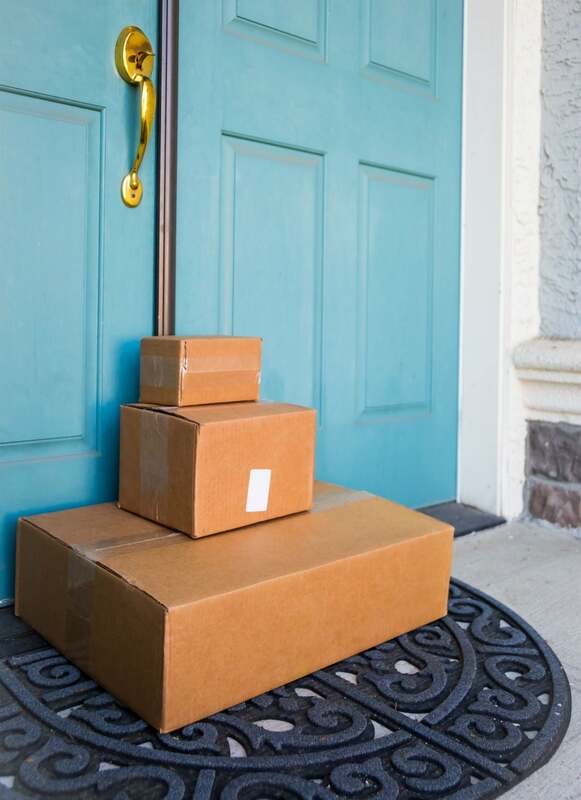 This feature comes in handy if you want to give a delivery person instructions on where to leave a package or ask visitors to state their business. 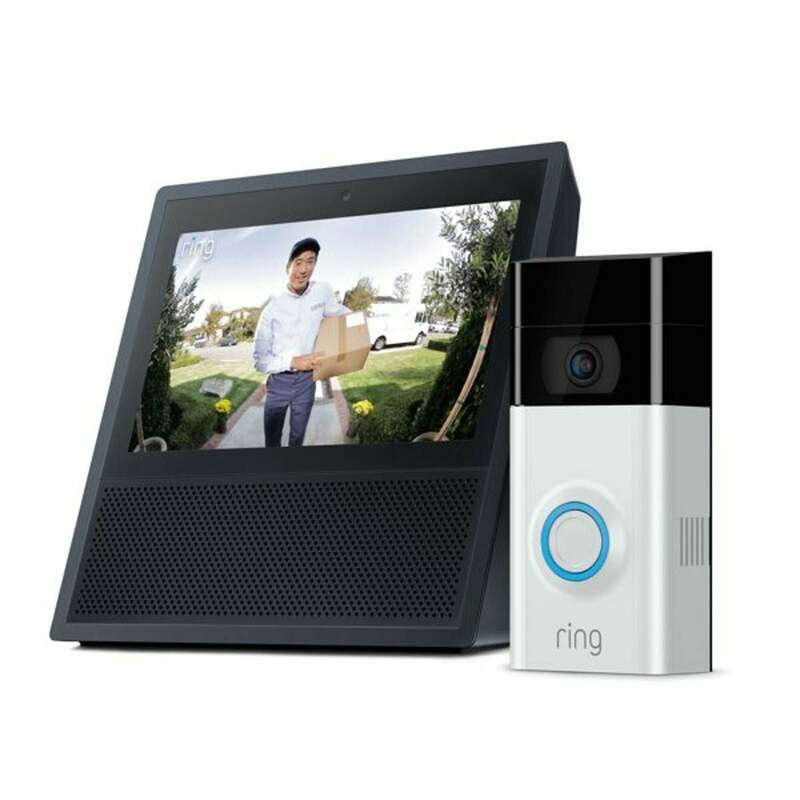 Many camera doorbells operate as stand-alone recording devices, but others are designed to integrate with a smart home security system and can be configured to function with products such as Alexa, Google Assistant, or The Nest. If you have smart home devices, make sure the doorbell you buy can be configured to work with the devices you already own. Keeping these favorable features in mind, we’ve scoured the market to narrow in on three of the best doorbell cameras. The models below all come with top marks from real-life consumers like yourself, so you can count on your purchase bringing you some peace of mind. For the budget-minded, the inexpensive yet dependable Eversecu Smart Home Doorbell with Motion Detection offers some advanced features, including motion detection, night vision, and real-time audio ability. The Eversecu provides 720p resolution and comes with a 166-degree range of view. The motion detector picks up movement within a 120-degree range and will alert your smartphone. 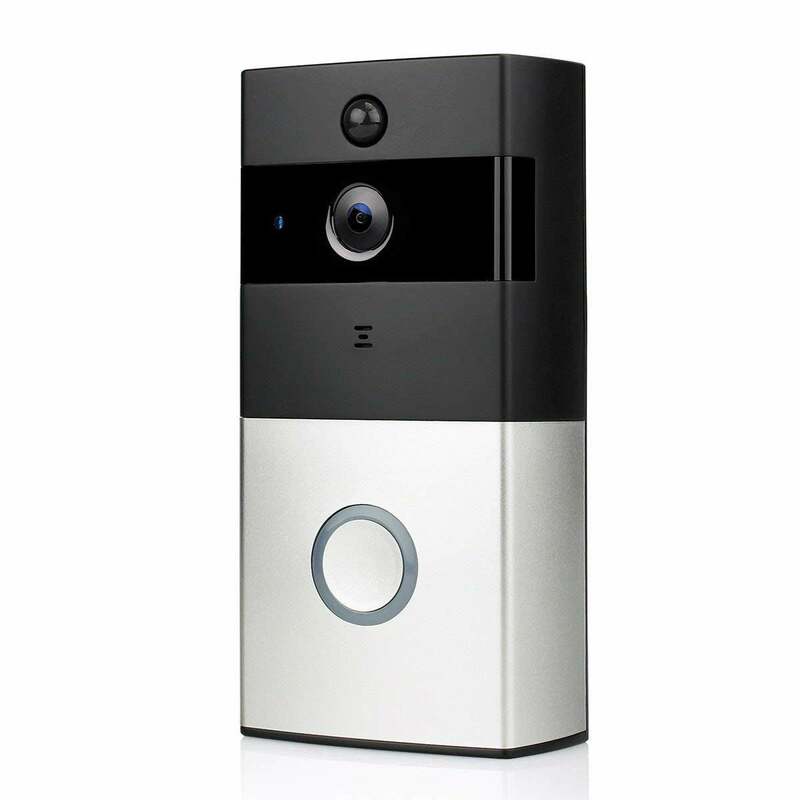 The battery-operated unit is a good choice for homes or apartments that lack an existing wired doorbell, with battery life (lithium-ion battery sold separately) lasting two to six months, depending on how often the camera is triggered by motion. Video records to a micro-SD card (sold separately) inserted in the back of the doorbell. Amazon customers give the Eversecu 3.9 out of five stars for its sleek look, ease of smartphone configuration, waterproof case, and clear audio ability. It comes with a limited one-year warranty. Powered by 4 AA batteries, the Vodool Smart Wireless Doorbell with Night Vision receives 3.9 out of five stars from Amazon buyers who appreciate its motion detection, 166-degree range of view, and easy installation. When the Vodool senses motion, it starts recording video in 720p resolution to a micro-SD card (sold separately), and it can also be configured to send an alert to your smartphone, smart home device, or PC. The Vodool is compatible with Amazon’s Echo devices, allowing you to talk to the person at the door through an Echo Dot as well as through your smartphone. In addition to the micro-SD card, buyers can subscribe to optional cloud video storage, which is free for three months and costs $2.95 per month for continued service. The Vodool comes with a limited one-year warranty. With 1080p resolution, the Ring Video Doorbell 2 offers excellent video quality—both during the day and at night. Amazon buyers give the Ring 2 4.1 out of five stars, praising its quick motion detection and 160-degree range of view. They also like its audio clarity and the ability to configure the doorbell to work with Echo devices. Motion-triggered video records directly to the cloud, which requires a $30 annual subscription fee after one month of free service (no other video storage option is available). The Ring 2 can be hard-wired into existing wiring, or it can be operated via a rechargeable battery pack. 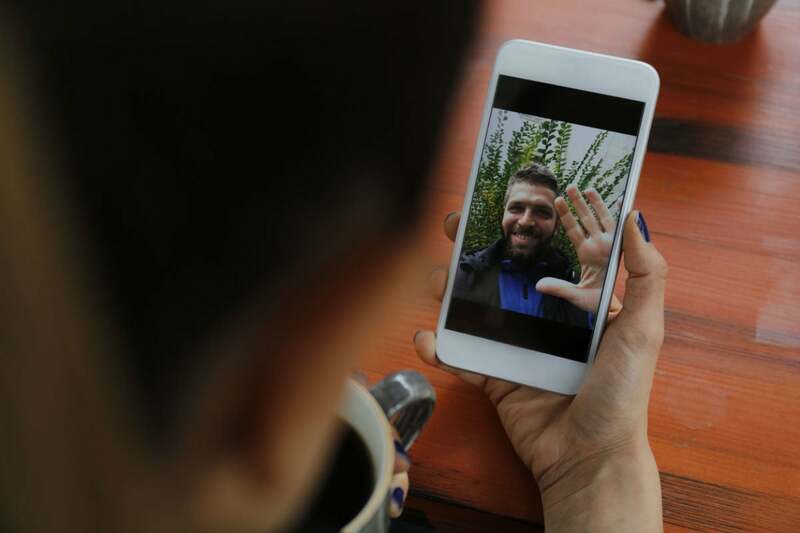 With the downloadable app, you can switch on live-view video at any time from your smartphone or tablet. It comes with Lifetime Theft Protection (the company will replace it free if it gets stolen) as well as a one-year limited warranty.